…. When you go to the Café de la Fontaine in Lourmarin and ask if they have a Pain au chocolat to go with your café creme. Heads off to the baker and comes back 5 minutes later. 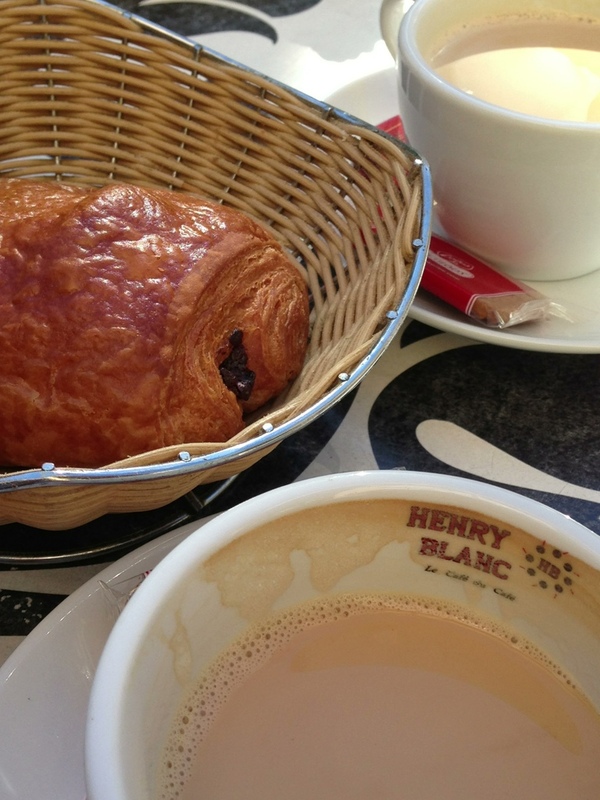 Henry Blanc (the name on the cup) seems to be the official supplier of coffee for all cafes and restaurants here. I’ve seen this cup all over the region. Wanted to do a bit of research on it. I used to go to a neighborhood bookstore that would call other independent stores to find a book for a customer. The Hungry Mind is now just a memory, and I still love it. Such service, whether it’s a cafe or bookstore! !